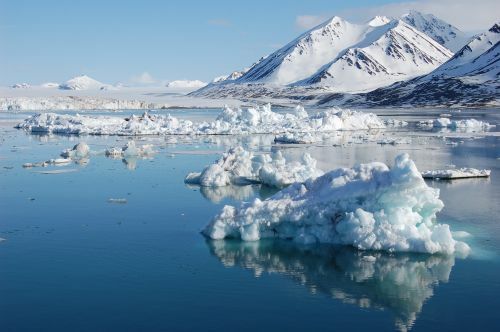 Researchers at the University of Cambridge and Erasmus University in the Netherlands published a report in the journal Nature yesterday that outlines the economic impact of climate change in the Arctic. According to the report, methane released by melting permafrost in the Arctic—which unlike the loss of sea ice, rising ocean levels, the vulnerability of Arctic species like the polar bear—have largely been ignored in consideration of the impact of climate change. However, the report cautions that the impact of methane releases could be massive. Much of the attention paid to date to methane in the Arctic has focused on the development and extraction of new resources from land uncovered as a result of retreating polar icecaps. The Arctic, the report notes, is home to about 30 percent of the world’s undiscovered natural gas and 13 percent of its undiscovered oil, and climate change may make those resources more accessible for extraction. According to Lloyd’s of London, the oil and natural gas alone could be worth up to $100 billion. The race for these resources has already triggered increased tensions over control of Arctic resources, including an effort by the Russian government to plant a flag on the Arctic sea floor, and increasing tensions between the US and Canadian governments over control over Arctic sea lanes. We calculate that the costs of a melting Arctic will be huge, because the region is pivotal to the functioning of Earth systems such as oceans and the climate. The release of methane from thawing permafrost beneath the East Siberian Sea, off northern Russia, alone comes with an average global price tag of $60 trillion in the absence of mitigating action — a figure comparable to the size of the world economy in 2012 (about $70 trillion). The total cost of Arctic change will be much higher. The problem, of course, is that climate change represents the classic collective action problem, where the benefits (gains from extracting new Arctic resources, for example) are captured by a relatively small group while the costs are borne globally. Indeed, it is widely acknowledged that the majority of the impact of climate change will be borne by the developing world—the countries which have been least responsible for the greenhouse gas emissions that have driven climate change in the first place. What do you think? Can a political solution to climate change be achieved before the climate is irreversibly altered? Or should efforts to address climate change shift from prevention and mitigation to adaption? Take the poll or leave a comment below and let us know what you think. This entry was posted in Uncategorized and tagged Artic, climate change, collective action problem, greenhouse gas emissions. Bookmark the permalink.